Manipur State Rural Livelihood Mission has issued a job notice regarding recruitment of MSRLM. Online applications are invited from hard working and result oriented Indian citizens for the participation of 147 posts of Chief Operating Officer, Manipur State Rural Livelihood Mission Executive, DEO, Cluster Coordinator in various disciplines. Competitors who are going to apply for MSRLM jobs. They can submit their application through online mode till the end date on October 11, 2018. Job searchers can get the rest of the information about the MSRLM recruitment 2018 through this page, which is well described by the team of www.telanganaa.in. Essential qualifications: Post graduate degree (Management / Rural Development / Agriculture and Associate / Forestry / Social Work) / MBA / M.Com / CA / MSc (IT / CS) / ICWAI / PG Diploma / Well-Recognized Institute Bachelor Degree with academic record / MSW / BCom / BSc / PGDCA. Candidates applying for the above vacancy should be 51 years (post 1), 45 years (post 2), 37 years (3-14,16-20,22-25 posts), 43 years (post 15), 40 years Must be more than (21 posts). How much will I get in the form of a pay band? : Those applicants who will be successfully admitted against MSRM will get the salary of the rupees. 80,000 / - (post 1), Rs. 45,000 / - (post 2), Rs. 35,000 / - (3-13 posts), Rs. 10,000 / - (14,25 posts), Rs. 40,000 / - (15 posts), Rs. 30,000 / - (term of 16-19), Rs. 18,000 / - (20,22,23 posts), Rs. 25,000 / - (21 posts), Rs. 15,000 / - (24 posts) from the recruitment organization. Applicants' engagement will be completed against this recruitment based on their presentation in written examination, group discussion and personality test, which will be organized by the recruitment panel of the organization. Process of filling the MSRM application form? Visit the organization's web portal, which is http://www.manipur.gov.in. Once filling the application successfully, the Indian citizens should send the application along with the documents at the email address given below. The expiry date for sending the copy of the application is: 11-10-2018. 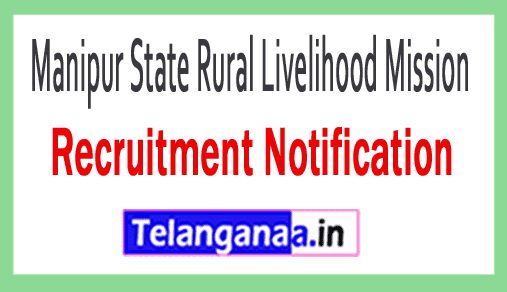 Click MSRLM Recruitment Notification Here 2.